We’ve already seen the Justice League and the Teen Titans ward off demonic presences a while ago, but it’s clear that the Justice League isn’t properly equipped to fight off said threats. Batman, Superman, Wonderwoman and the other members are well suited to fight crime, and other more physical menaces. When all of a sudden the world is going rampant, as normal people suddenly see their loved ones as demons and other foul creatures, it’s clear even Batman, world’s greatest detective is in a pinch. For some reason, good citizens have turned violent and are killing their loved ones, are hysterically running people over with their cars or even try to toss their newborns from the roof of an apartment complex. While at first it seems like their dark side got the best of them, it soon becomes clear that these aren’t a few ‘isolated’ events, as it is seemingly occurring all over the world. 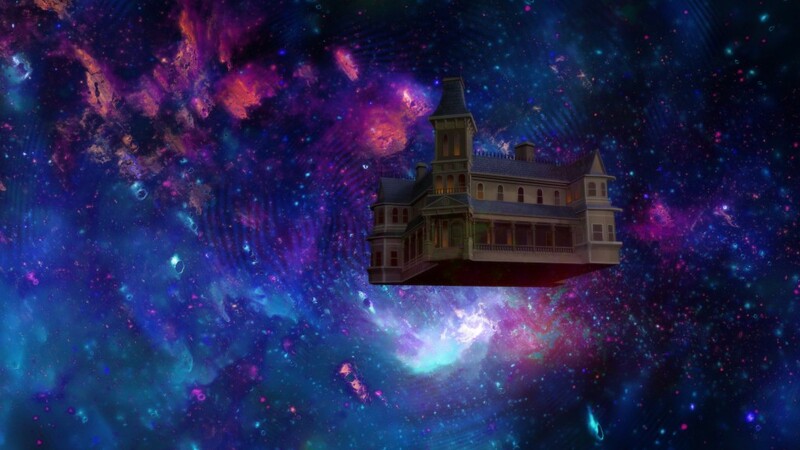 The perpetrators, soon-to-be-victims, all claim to have seen demons, which had taken over their loved ones, or simply those who were surrounding them. Baffled, the Justice League doesn’t really know what to do, until Batman (Jason O’Mara) decides to call in some extra help from those who have a bit more experience with these supernatural events. After tracking down Zatanna (Camilla Luddington), who has her own skill set of extraordinary powers, which she uses to entertain people in the form of ‘magic shows’, Batman wishes to find John Constantine (Matt Ryan), another practitioner of the dark arts, who has been known to have vanquished a lot of demonic presences from our world, and is also an avid collector of supernatural items. Zatanna first seems hesitant to comply, but when Boston (Nicholas Turturro), a spirit of a deceased celebrity, who can now take over humans, shows up to also ask for help, she knows that things are quite serious. This movie feels somewhat slower than the other animated DC movies we’ve seen over the last few years, but this is probably because the ‘occult’ is slowly being introduced in this universe, to become a part of what we already know and love. The fact that now the Justice League also has to work together with those who dabble in the supernatural, will make it so that everything can become even more diverse and that threats can come literally from everywhere. Nonetheless, the slower pace feels pleasant, and there’s still a lot of action to behold, albeit in a different form than we’re used to. There isn’t really anything else we can say about the voice cast that is featured in these animated DC flicks, other than that they keep doing a very formidable job. A fun fact is that Matt Ryan actually plays the live action version of John Constantine in Arrow, thus he was already perfect for the job the moment he uttered his first word in the recording booth. 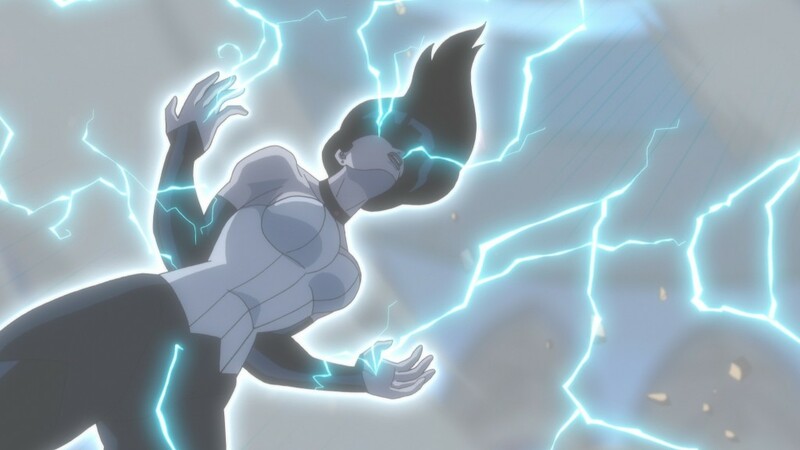 Camilla Luddington who plays Zatanna is another interesting newcomer and she makes it seem as if she’s been part of the crew since the release of all of these DC’s animated movies. You’ll get a half hour worth of extra content on this DVD release, which is very pleasant, but also rather recycled at the same time. 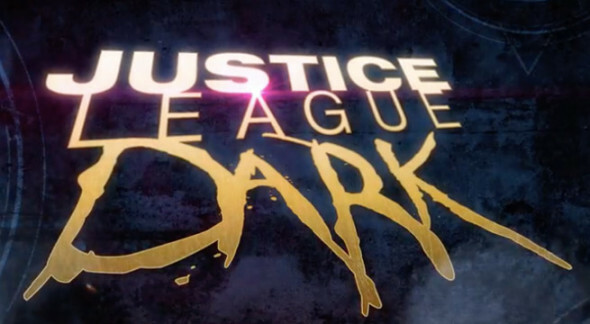 The special features consist out of three sneak peeks of three different movies, namely the upcoming Teen Titans: Judas Contract, the fairly old Justice League: Doom and Justice League: Gods and Monsters which was released last year. The first featurette is certainly worth it, while the other two have already been featured on other releases, and don’t really feel like ‘sneak peeks’ if the movies have already been around for some time. Nonetheless, it’s quite fun to have some comments from the voice actors, as well as the team behind the production of the movies. 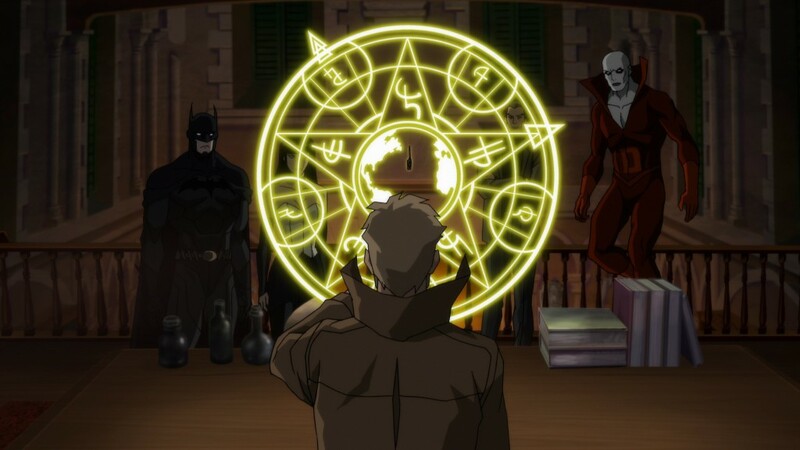 Justice League Dark is yet another welcome addition to the cinematic universe of DC. We are truly blessed as comic book fans to see our favorite comics come to life with such care and details that are certainly on par with the source material, albeit in sync with the other movie releases, thus not always animated in the original style. That being said, this movie felt a tad different, due to the different nature of the enemies, but it’s certainly worth adding to your collection.